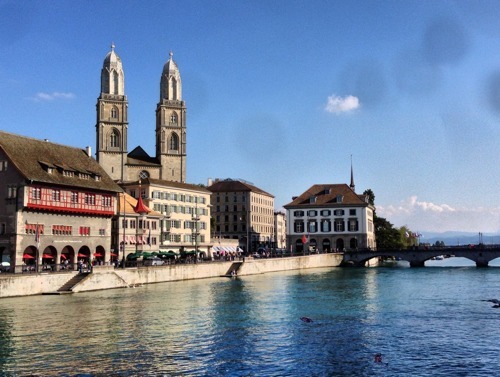 We knew we were heading for Switzerland before we even got to Zurich, as already FrontEndConf 2013 was organised better than pretty much every event I’ve ever been to. Just in case we forgot, within moments of landing we were met by a conference representative and whisked to the ticket kiosk, then directed to the correct train. “Cool, how long until the train comes?” I asked. Glancing up at the iconic Swiss railway clock (sporting an analog face) our guide answered, “In exactly 7 minutes.” And so it was. FrontEndConf 2013 for me was a great experience, both as a speaker and being able to attend and listen to some of the talks. I really enjoyed meeting with several of the other speakers as well during the fantastic speaker’s dinner at breakfast at the hotel, and at the conference party. In addition to some great talks about usability, there were demos of new UX products like the Occulus VR headset and Google Glass. Although it was the first time giving my talk “How to build the perfect product your users want, but can’t describe”, I was pretty happy with how it turned out. You can watch it online here (includes slides). A few weeks ago I had the privilege of attending an event that included a short speech by the UK Government CTO. I didn’t really know what to expect, and like most who attended, I wasn’t even really sure what a government CTO is supposed to do. It was being held at the TechCube and as the topic was related to government procurement of small business services, I thought it might be worth an evening to attend and see if we could drum up any business. Just prior to the session I was intrigued to learn that this was the team behind Gov.UK, which is a highly regarded foray into centralising, opening, and publicising government processes and guidelines via open APIs. 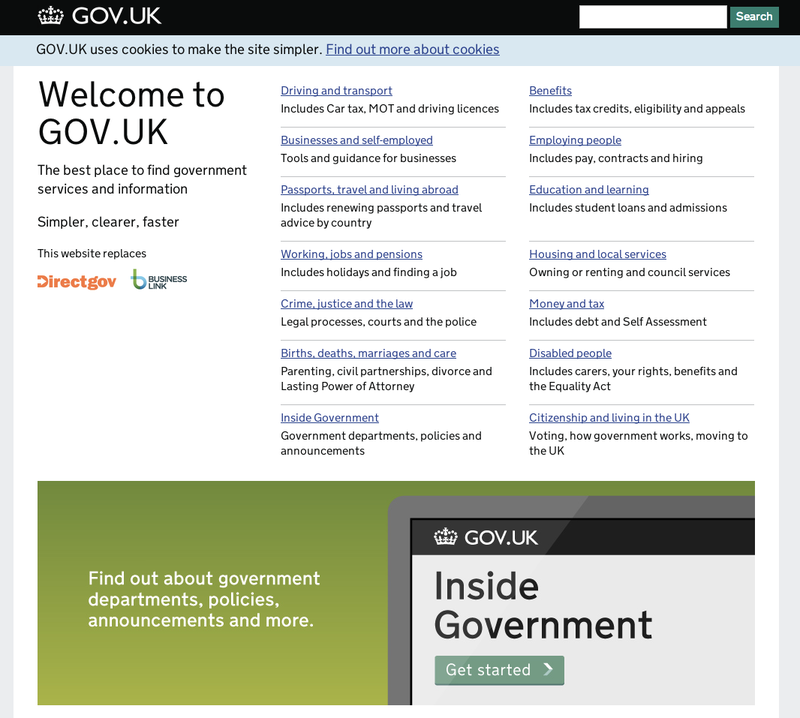 Gov.uk provides APIs and other data for transparency and consumption. UK Government data centers are currently utilised at 7% efficiency. During an apples to apples comparison of services, a government contract was orders of magnitude more expensive than the same contract from the open market. an anonymous “Bad Request for Proposal” reporting website where ridiculous government RFPs can be brought to light, and shut down. While the presentation was interesting, the ensuing question and answer session, to put it bluntly, blew my mind. Maxwell answered questions in a blunt, often humorous way. Stupid questions were rejected and his answers explained why the question was lacking. He was self deprecating, sharp, and utterly committed to making sure his vision was communicated to the entire room which numbered about 75 attendees. He relentlessly talked about culture change, asked for direct feedback, took notes of ideas proffered by the audience, and asked some to stay behind for more information. During the Q&A session, I figured out why the experience felt so strange – Liam Maxwell was solving problems with an openness and bluntness that was commonplace in a well functioning, healthy business. Or maybe more accurately, a startup. Not government. Were there cameras or recording devices? He didn’t care. Was he being political? Only in that he was fulfilling his mission. He was spending time soliciting opinions from companies across the UK, and he was pitching his idea just like we would to investors. It was like I was watching a living episode of the West Wing where all of a sudden Hollywood transforms government staffers into extremely competent, hardworking, humorous, and admirable people who work as a team to battle against their problems. As a UK taxpayer, (even if I am an American! ), I was so impressed by Maxwell and my only thought is I hope he lasts. Administrate is currently signing up for the GCloud if only to support the idea that small companies can sell to government. I truly hope the Government Digital Services team continues their approach and manages to change the culture over their tenure.